The goals of laparoscopic radical prostatectomy, as in retropubic radical prostatectomy, are lifelong oncologic control of localized prostate carcinoma while maintaining continence and potency functions with minimizing of operative morbidity that contribute to a global quality of life. Transperitoneal laparoscopic radical prostatectomy with ascending approach was first performed by Schuessler et al. (1) and presented in 1992. However, the technical difficulties did not allow widespread application of this procedure. An initial series with nine patients was published in 1997 by the same authors, but they concluded that the procedure was not feasible due to the excessive operation time and multiple technical difficulties (2). The authors stated "laparoscopic radical prostatectomy is not efficacious alternative to open radical prostatectomy as curative treatment of clinically localized prostate cancer." Laparoscopic radical prostatectomy has become a worldwide accepted alternative to open surgery at centers of expertise using different modifications. this procedure based on the same principle and published the "Montsouris technique" in 1998 with 40 patients (5). Subsequently, another center from Paris (Creteil) committed to the similar technique and both centers were able to report more competitive operation times of 3-4 hours after considerable experience (6,7). In 1999, Rassweiler et al. developed the transperitoneal ascending laparoscopic technique similar to the classic anatomic radical prostatectomy in 1999 and published this technique as the "Heilbronn technique" with 100 patients (8). Basically, this approach consists of an ascending part, with early division of the urethra and posterolateral dissection of the prostate, followed by the incision of the bladder neck and dissection of the cranial part of the seminal vesicles and vasa deferentia (8). In 2001, Bollens et al. (9) published a standardized technique of extraperitoneal laparoscopic radical prostatectomy shifting from their initial experience with the transperitoneal approach. These authors emphasized that the main reasons for the extraperitoneal approach were the comparability with the open counterpart (i.e., retropubic descending radical prostatectomy) and potential disadvantages of the transperitoneal route associated with the risk of bowel injury or peritonitis in case of urine extravasation. Laparoscopic radical prostatectomy has become a worldwide accepted alternative to open surgery at centers of expertise using different modifications (Table 1). In the meantime, several studies have been published about perioperative morbidity or the impact of technical modifications on short-term results; however, there are only few reports concerning the long-term functional and oncological outcome. This is mainly related to the fact that only a limited number of centers of expertise (i.e., Bordeaux, Paris-Montsouris, Paris-Creteil, Heilbronn, Berlin, Bruxelles, and Cleveland) might be able to present such results with an adequate follow-up. With the evolution in laparoscopic technology and proficiency, laparoscopic radical prostatectomy is now useful not only with its surgical outcomes but also with the oncologic and functional results (11). 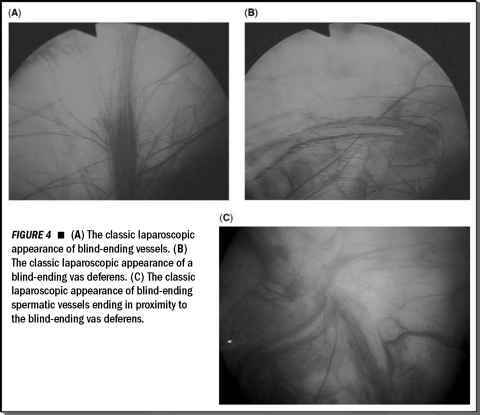 Laparoscopy can be considered feasible if it improves operative and postoperative morbidity and allows a better preservation of periprostatic vascular, muscular, and neurovascular structures by providing better visualization and optical magnification. Nowadays, transperitoneal laparoscopic radical prostatectomy has been increasingly accepted providing similar function and oncologic results as open radical prostatectomy (12-14). The indications for the radical laparoscopic prostatectomy are the same as that for the open procedure including treatment of men with localized prostate carcinoma and a life expectancy of 10 years or more.